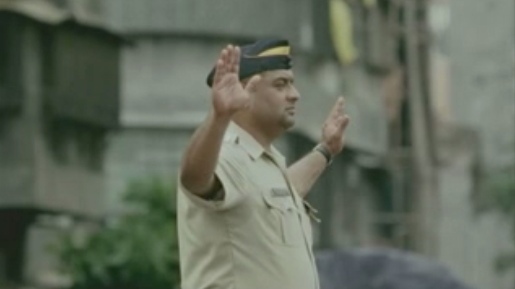 HSBC (Hongkong and Shanghai Banking Corporation Limited) celebrates worldwide status in “Policeman”, a television commercial featuring a policeman conducting the business of the Mumbai streets accompanied by an aria from Rossini’s opera Barber of Seville. HSBC Policeman was developed at JWT London and JWT Brazil, Curitibia, by global creative director/copywriter Axel Chaldecott, copywriter Antonio Rogoski, art director Ricardo Marques, agency producer Dean Baker and global account director Joseph Petyan. Filming was shot by director Vince Squibb via Gorgeous Enterprises with director of photography Ellen Kuras and producer Spencer Dodd. Editor was Paul Watts at The Quarry. Post production was done at The Mill. Music was the responsibility of Pete Raeburn at Soundtree. Sound was mixed by Munzie at Grand Central.